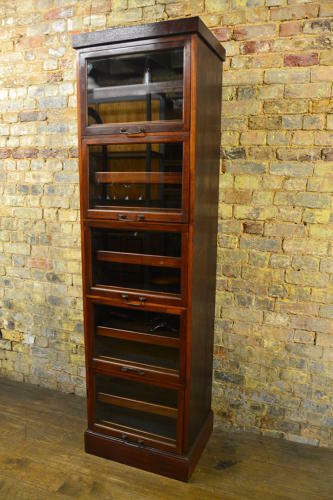 This is a very rare mahogany drapers shop cabinet sourced from the Lanes in Brighton. It has five lift up doors concealing two trays in each compartment. Totally restored to original condition with original brass handles. Ideal for clothes - retail or private settings alike.